This means we will implement a few views and make HTTP calls to our API, capture images from the camera or library and send those images with the FileTransfer plugin to our backend including an optional description for each image. If you haven’t followed the first part, I recommend you check it out now as you otherwise don’t have a working backend. Once we are done, our final app will look like in the animation below, which means we can upload the image, see a nice list of images and even open a bigger view for each image. 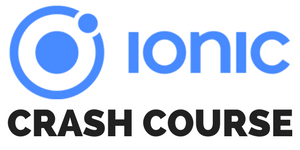 So this article contains everything you need to build your own Ionic image sharing app! If you feel lazy, you can also grab the code for the frontend app directly below. Initially I tried the new HttpClient of Angular 4.3 but as it’s not yet (at the time writing this) a dependency of Ionic we would have to change a lot so we will stick with this solution for now. If you come from the future and want to see that way, just leave a comment below! That’s all for the setup process, we are now ready to make our HTTP calls to our backend with our provider and later use the Cordova plugins. It’s always recommended to put stuff like backend interaction into a provider so we created a new one for all of our image actions. Inside this ImagesProvider we have 3 functions to make use of the backend API routes. Getting a list of images and deleting images is just one line as it’s a simple GET or DELETE request using the Http provider of Angular. Uploading an image file is a bit more complex, but just because we need a few more information at this point. To upload our file using the fileTransfer we need the path to the image, the backend URL and some optional options. In this case we specify the fileKey to be ‘image‘ as this is what the Multer plugin on the Node.js side expects (as we have told it so). We also wanted to pass some information along which is the params object of the options where we set the desc key to the value the user entered before. Once all of this is done, it’s just calling upload() and the file will be send to our server! Our API and provider is now ready, so let’s put all of this into action! The first view of our app will display a list of images which we received from the backend side. We just need to call getImages() on our provider and we will get the data back inside the completion block, which we will then use inside the view in the next step. Additional our first view has the open to delete an image (again just one call) and if we want to open an image for a bigger view of the actual image, we will open a Modal Controller with the PreviewModalPage which we implement later. Finally the image upload will start with the presentActionSheet() so the user can decide if he wants to use an image from the library or capture a new one. After selecting, the takePicture() uses the Cordova plugin with the correct options to receive a URL to the file on the device. At this point we could already upload the file, but we want to add an additional caption and perhaps if you want add options to change the image (just like you might know from Instagram) so we show the UploadModalPage which will then take care of calling the final upload function. Also, once this modal is dismissed we reload our list of images if a special parameter reload was passed back from the modal, which means the upload finished and a new image should be shown inside the list! We now build the view around this response by creating items for each entry and directly using the image URL of the JSON object. Remember, this is the URL we created inside the backend after receiving the entries, so this URL is not stored inside the database! You might change URLs or backends so it wouldn’t be a good idea to store a absolute URL inside the database, but now that we get it we are happy on the frontend side as there is no additional work required to show images. We can click each item to open the full screen preview, and sliding the items allows us to use the delete button for each image. To upload a new image we add an ion-fab button which will float above our content and open the action sheet with the options for library or camera. You can now run your app already but as you might have not uploaded anything (you could already upload files with Postman!) you will see a blank screen, so let’s work on the upload page now. Most of the logic is already implemented so we just need some more simple views. The image upload view appears after the user has taken or selected an image. Now we use the data that was passed to our modal page and implement a simple dismiss()function to close the preview and the saveImage() function which will upload the actual image with the caption which the user can also enter on this page. Once the upload is finished, we dismiss the page but pass the reload parameter so our HomePage knows the image list needs to be reloaded. You are now ready to upload images and should see the new images inside your list! Let’s finish this up with the special image preview. Of course the list image is a bit small so we want to be able to show the full image with the description and perhaps also the creation date (which is added by the server automatically). For the view we need to get a bit tricky as we want a slightly transparent background which we will achieve with some CSS classes. Also, whenever the user clicks on the background we want to catch that event and hide the full screen image again. Below the image we also display a card with the description and date, everything is directly retrieved from the JSON object of that image. Woah, we are done! Finally..
To completely use your app you need to deploy it to a device as we are using Cordova plugins to capture images and for the upload process. If you already have data inside your database you should anyway be able to run the app inside your browser to see the list of images and also open the full screen preview! Inside this 2 part series you have learnt to build a Node.js backend with MongoDB and also an Ionic image sharing App which makes use of our own API and uploads media files to a server. You are now more or less ready to build the next Instagram or simply an image sharing app between you and your friends. Whatever it is that you build, let us know in the comments (and also if you enjoyed this series style with backend coding! ).